Our presenter, Sr. Janice Bachman, O.P., Dominican Sister of Peace, is a spiritual director, retreat director and Jungian Analyst in practice in the Columbus, OH, area. For the past 22+ years Janice has been involved in the training of spiritual directors and has offered a variety of workshops and retreats based on the Spiritual Exercises, a key area of interest and involvement for her. 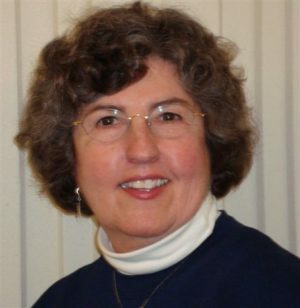 Janice is on the summer faculty at Creighton University, Omaha, NE, where she teaches theology of the Spiritual Exercises and adapting them for today’s milieu in the Graduate Program in Christian Spirituality. She holds a master’s degree in Christian Spirituality from Creighton University and a diploma in Analytical Psychology from the Ontario Association of Jungian Analysts (Toronto), and an MBA from Xavier University, Cincinnati. See the workshop schedule here. We'd love to have you join us for this wonderful workshop March 22-24, 2019. You'll be amazed at the information you receive, as well as the connections you'll make at this event. Open your heart and join us. Please register below. Click the link to pay by PayPal. Or, if you prefer, mail us a check or pay at the door. We are asking for $50 donation for two days, $65 for all three days to help pay the airfare and honorarium for Sister Janice.